Is Your Typing Speed as Fast and as Accurate as Most Freelance Writers? The idea of paying for typing classes is almost laughable to many freelance writers. If you’re a freelance writer, you know how to type! The more you practice, the faster your typing speed will get. Freelance writers should spend their time writing, not typing nonsense to increase speed. 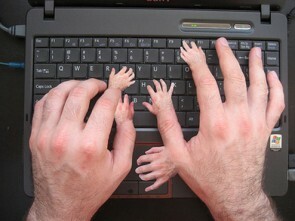 Your work gets done and you feel like you are typing at a fine pace. There has probably never been a time when you got frustrated and thought to yourself, “this would have been done two minutes ago if I were typing faster.” It just doesn’t happen. You get paid because of your ideas, not because you can type fast.